Marching band season starts with summer band camp in June while preparing for the summer parades and then starts up again in late July. 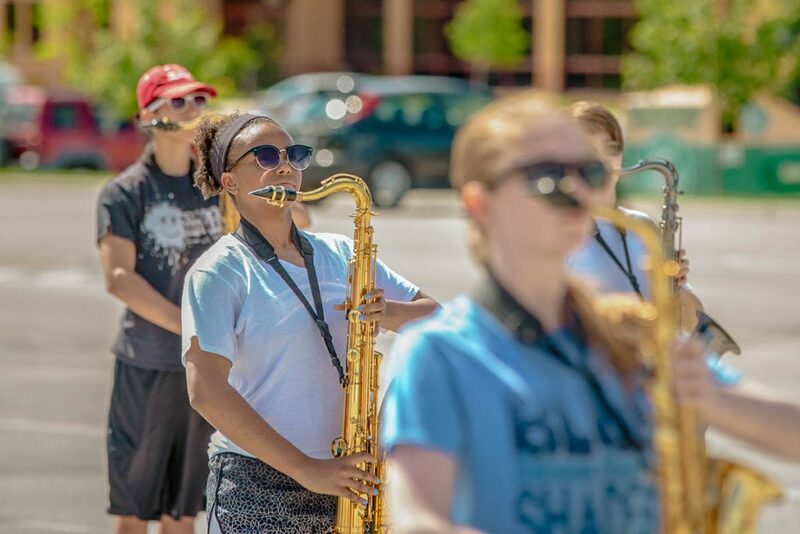 Both marching band musicians and the color guard participate in summer band camp. 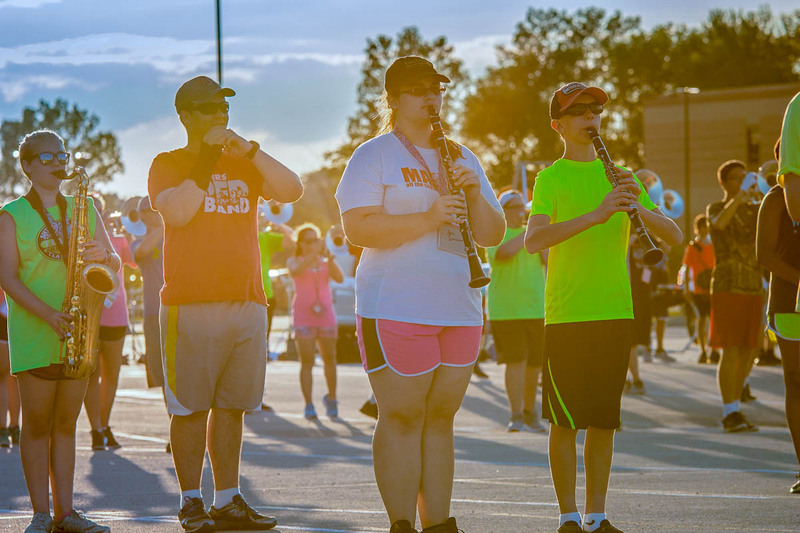 During camp, students learn and practice music, run through drills, get fitted for their marching band uniforms, and more. These weeks of camp will be intensive instruction building on the fundamentals learned during Summer & Mini Band Camp. This camp begins the training for their fall competition program. Consistent attendance is expected. 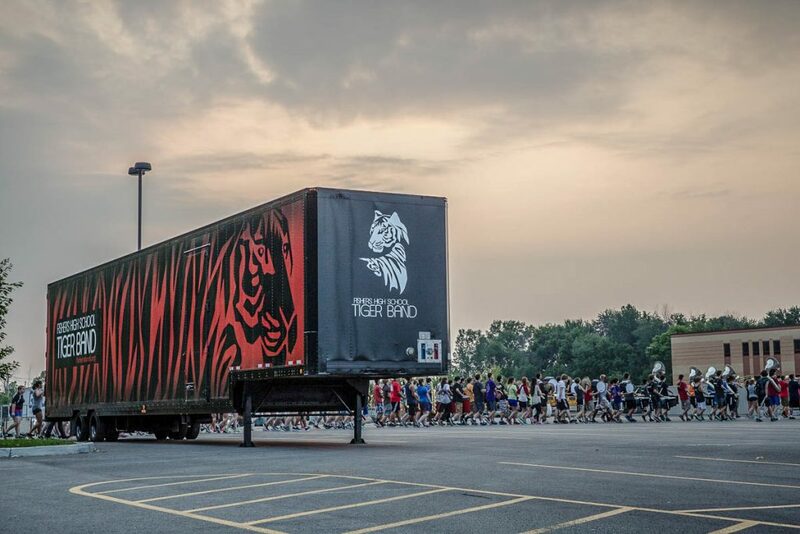 Below are items, which you are responsible for bringing to band camp every day. The weather will be hot and the days will be long, so plan accordingly. Please make sure that you are properly hydrated and protected from the sun at all times. A healthy meal and drink (pack a sack meal for the late start days). No refrigeration is available for lunches. Dot Book – this is a small notebook or index card book they can tie on a string and wear around their neck or waist during practice. Black hand or bath towel (based on instrument size) to protect your instrument from the pavement. Read up on heat related illness and make sure that you are aware of warning signs and how to treat it. End times are not when students will be available for pick up. End time is when they are expected to end practice. Time will then be required for a band director talk and to put equipment away. The earliest that students will be available for pick up is 15 minutes after the stated end time. Make sure students eat breakfast before leaving home, preferably one that includes protein. Avoid milk products, especially on the hottest of days. Marchers are required to bring a LARGE insulated container of water each day. It is very important that they stay hydrated in the heat. Please bring snacks. Many marchers find that they need the extra energy. Snacks will be offered twice every day for the members on behalf of the Band Boosters! Please check Charms to find out needs and volunteer to provide snacks for the band. Each evening kids will have PBJ as an alternative if they do not like what is served or are extra hungry. Please contact Band Camp Committee regarding allergies. Dinner is at 5. If you choose to drop off dinner to your child please have it there by 5 o’clock. Please do not block band doors or road for food drop off. Sunscreen is a MUST on these days. They will be practicing outside. Have them apply it before they leave if possible, and you should send some along for them to reapply if they need it after lunch. Bug spray is also needed on some evenings. 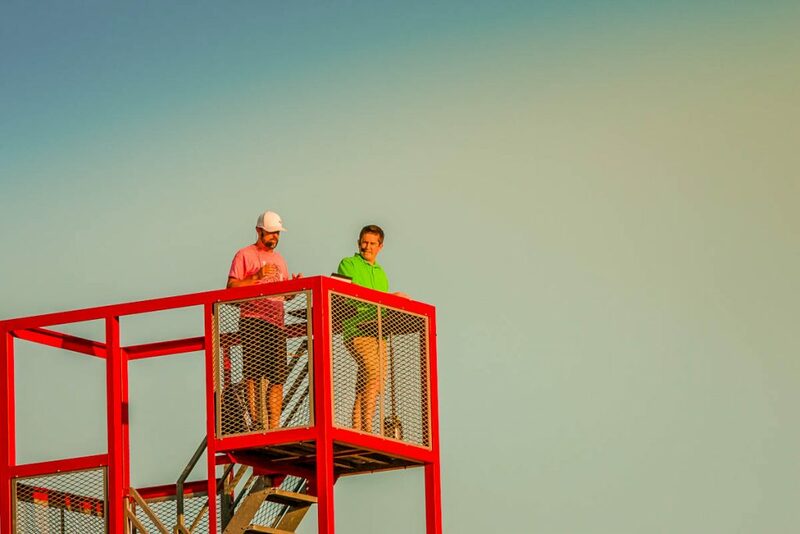 Acceptable attire includes – shorts, t-shirts or tank tops, socks & tennis shoes, hats or bandanas (if desired). Do not let your child leave the house in flip-flops, sandals, crocs, or anything else that isn’t an athletic shoe! If your child uses a rescue inhaler for asthma or any other emergency medicine, please have them carry it with them during camp. If a student is too ill to come to practice, the parents need to email the directors and the marcher should contact their section leader. The expectation is students should attend practice if at all possible. Even if they need to sit and watch practice, they can fill out their dot books and learn the music and not fall too far behind. Please contact the directors with any questions. If you have any other medical concerns, not already noted on your Health Form, you would like us to be aware of, please contact the Band Camp Committee Chair. All belongings should be labeled with their name! Please review Movement one and memorize as best as you can! Also please review the parade tune as we will work on Pregame which utilizes Touchdown Song, Parade Tune, Star Spangled Banner and the fight song. Battery will learn touchdown song during pre-game instruction. If you’re a freshman and attending Mr. Kohler MUST know what day you’re attending. Please keep in mind that you will head straight to marching band camp immediately after Tiger fever. Show your spirit and dress the part! There will be a designated theme for each day of camp. NOTE: Correct athletic clothing and gym shoes are still required for rehearsal. ANYTHING that constrains the ability to move or play efficiently will be asked to be removed. Be SMART and TASTEFUL!